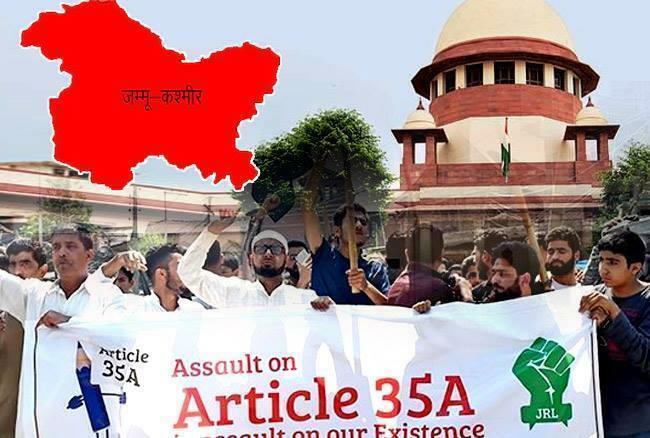 Indian Constitution’s Article, The Article 35A is an article that empowers the state legislature of Jammu and Kashmir to define “permanent residents” of the state and provide special rights and priviledges to those permanent residents. The Article was added to the constitution by an order of the president,Shri Rajendra Prasad on 14th May,1954.The order was issued under the Indian Constitution Article 370(1)(d). This allows the president to make certain “exceptions and modifications” to the constitution for the benefits of ‘State subjects’ of J&K. Hence,Article 35A was added to the Indian constitution in a special consideration. Here the permanent resident(PR) of the state is defined as a person who was a state subject on May 14, 1954, or who has been a resident of the state for 10 years, and has “lawfully acquired immovable property in the state. Person who is not a Permanent Resident of Jammu and Kashmir is not allowed to do work within Jammu and Kashmir Government. Person who is not a Permanent Resident of Jammu and Kashmir cannot join any professional college run by government of Jammu and Kashmir or get any form of government aid out of government funds. Currently, a controversy is going on the 35 A article. This is not the first time that petitions have been filed against the Article. Earlier, Two Kashmiri women had challenged the Article 35 A contending that the provision is discriminatory as it disenfranchises their children. Under the original provisions of Article 35 A, Kashmiri women marrying an outsider lost all her rights and privileges. In 2002,The Jammu and Kashmir High Court had held that the women would continue to enjoy their rights and privileges even if they married an outsider. However, children of such women have no claim in succession. They contended that Article 35 A was “never presented before Parliament for approval”. The petition argues that the President could not have “amended the Constitution” just by issuing an order. The order, as per them, should have gone before Parliament. 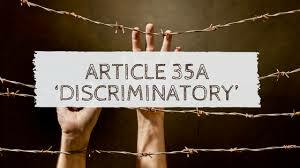 The Article 35A is an article that empowers the state legislature of Jammu and Kashmir to define “permanent residents” of the state and provide special rights and priviledges to those permanent residents. HotGossips is your news, entertainment, music fashion website. We provide you with the latest breaking news and videos straight from the entertainment industry. © © 2019 HotGossips - Online Media Portal . All rights reserved.